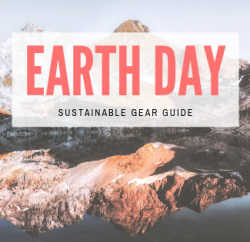 The world of avalanche safety has become that much cooler in the past few years with the introduction of avalanche airbag backpacks. 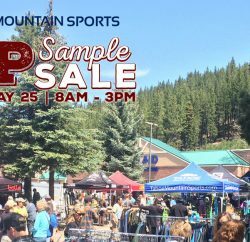 Tahoe Mountain Sports carries a great selection of these incredible backpacks. In high demand have been the Jetforce Avalanche Airbag Backpacks from POC and Black Diamond. We currently have a VERY LIMITED supply remaining of these packs so take a minute to learn more below and grab yours before they’re GONE! 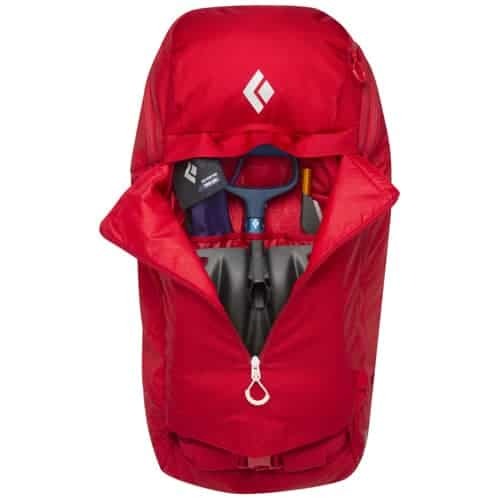 Both the POC and Black Diamond Avalanche Airbag Backpacks are similar but have their own nuances and touches to make them unique and suitable to different needs, tastes and sizes. 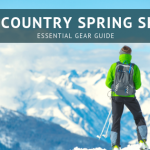 About the POC Thorax Jetforce Avalanche Airbag Backpack – 11L: Add another tool to your safety gear, especially useful when exploring the backcountry, with this POC Sports Thorax Jetforce Avalanche Airbag Backpack, which adds an 11 liter capacity. The POC Thorax 11L is an avalanche airbag safety backpack which uses JetForce technology. The airbag is activated by pulling an activation cord on the shoulder strap, this then fills the 200L airbag in up to 4 seconds. This should help the skier stay above the snow, after 3 minutes the fan will reverse its motion and deflate the bag giving the skier a potential air pocket when in a buried situation. This will also allow an easier victim extraction when it comes to rescue, if need be. The airbag is made of a durable, puncture resistant Cordura fabric allowing it to maintain volume. About the Black Diamond Halo 28 Jeftforce Avalanche Airbag Backpack: Add another layer of safety to your avalanche tools with the Black Diamond Halo 28 Jetforce Avalanche Airbag Backpack with jet-fan inflation and the ability to be repacked and recharged. The avalanche airbag for day-long tours, featuring backpanel access, a dedicated avy-tools pocket and Black Diamond’s Jetforce Technology. A revolution in airbag technology, Jetforce provides an added margin of safety to your avalanche tool kit. From one-lap dawn patrols to all-day tours and couloir missions, the Black Diamond Halo 28 Jetforce Pack is built to store your essential gear for day-long outings and provides a truly innovative addition to your avalanche tool kit. Jetforce Technology, the result of a multi-year collaboration between Black Diamond and PIEPS, is the first avalanche airbag system to use jet-fan inflation. JetForce’s repackable airbag and fully rechargeable electronics system provide zero-cost user practice and travel-friendly performance. The Halo also features a dedicated avy tools pocket, HiLo helmet holder and single ice-axe attachment for securing your gear. 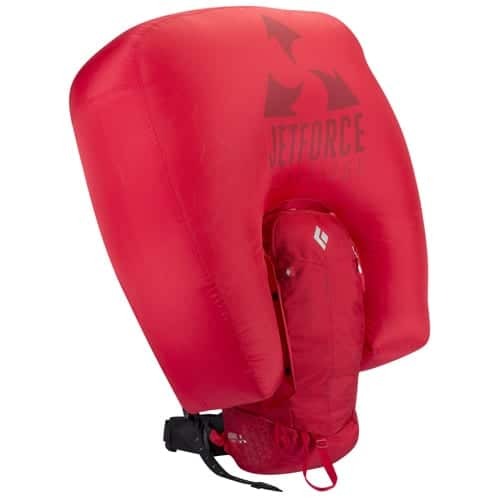 JetForce Technology airbag system built-in; rechargeable, travel-friendly and extremely durable. reACTIV suspension with SwingArm shoulder straps and zippered backpanel access. Dedicated avy-tools pocket and single ice-axe attachment. Tuck-away diagonal ski carry allows airbag to deploy while skis are attached. HiLo helmet holder, hipbelt stash pocket and internal accessory pockets. About the Black Diamond Saga 40 Jetforce Avalanche Airbag Backpack: Designed for ski professionals, the Black Diamond Saga 40 Jetforce Avalanche Airbag Backpack is a high capacity pack with jet fan inflation and on-board avalanche tools. The ideal avalanche airbag for ski patrollers, snow professionals and hut-to-hut trips, the Saga is Black Diamond’s large-capacity backcountry ski pack featuring Jetforce Technology. A revolution in airbag technology, Jetforce provides an added margin of safety to your avalanche tool kit. Whether working in avalanche terrain or covering miles a backcountry hut tour, the Black Diamond Saga 40 Jetforce Pack is designed to accommodate big loads while providing a truly innovative addition to your avalanche tool kit. Jetforce Technology, the result of a multi-year collaboration between Black Diamond and PIEPS, is the first avalanche airbag system to use jet-fan inflation. Jetforce’s repackable airbag and fully rechargeable electronics system provide zero-cost user practice and travel-friendly performance. 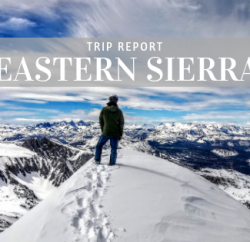 The Saga accommodates features both ski and snowboard carrying systems, and a dedicated avy tools pocket, ice tool PickPockets and a HiLo helmet holder secure your additional gear. 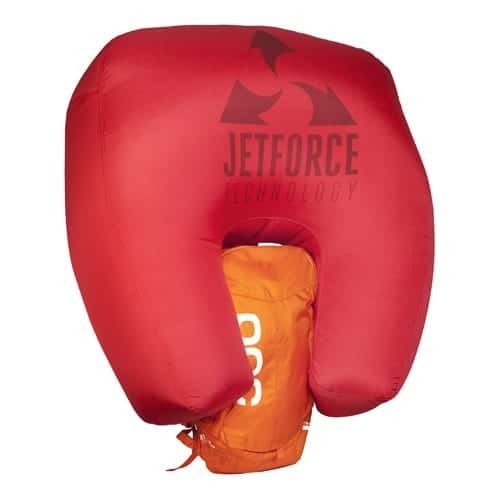 JetForce Technology airbag system built-in; rechargeable, travel-friendly and extremely durable. reACTIV suspension with SwingArm shoulder straps and zippered backpanel access. Dedicated avy-tools pocket and ice-tool PickPockets. Tuck-away diagonal ski carry allows airbag to deploy while skis are attached. HiLo helmet holder, hipbelt stash pocket and zippered top accessory pocket.